Tap Air Portugal has taken delivery of the first of twelve Airbus A321LR aircraft it has on order. 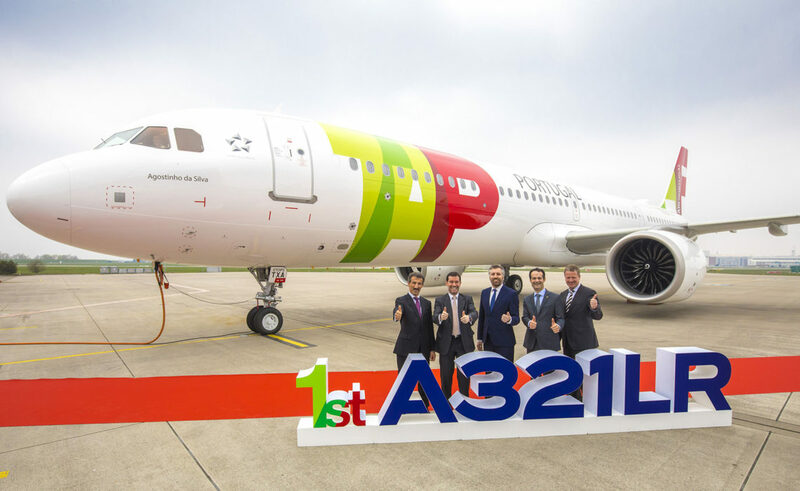 The Lisbon-based carrier thus becomes the first airline to operate a combined A330neo and A321LR fleet. Powered by CFM engines, Tap’s A321LR is configured with 171 seats (16 in business, 48 in eco-premium and 107 economy). The combination of the A321LR and the A330neo within a single fleet provides operators a powerful lever to cover the needs of the medium to long-haul market. With both newest generation single aisle (20 per cent fuel burn reduction) and widebody aircraft (25 per cent fuel burn reduction) airlines benefit from an unrivalled commonality for operations while passengers experience a higher and harmonized comfort standards. “The A321LR is critical for Tap’s expansion plans. 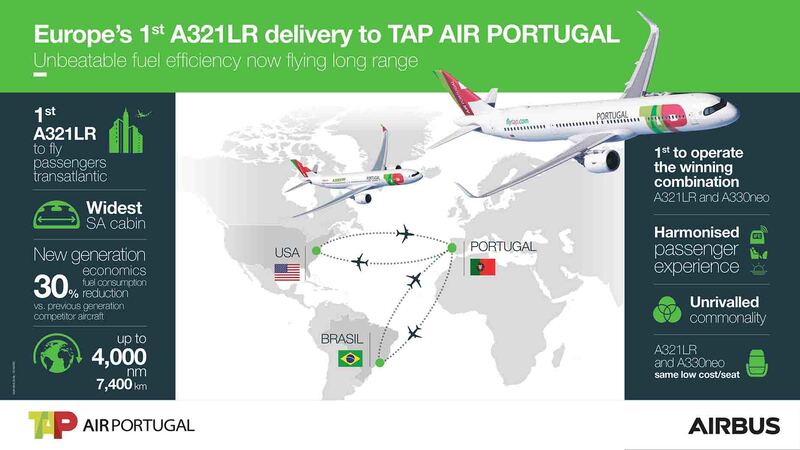 “With its superior range we can comfortably explore markets in North America, South America and Africa from Portugal, and it’ll fit in seamlessly with our A330neos,” said Antonoaldo Neves, chief executive, Tap Air Portugal. “In North America it allows us to explore markets on the East Coast, such as New York, Boston, Montreal or Washington. “In Brazil the A321LR can open new markets in the north-east and complement existing services to cities like Recife, Natal, Fortaleza or Salvador,” he added. Tap’s first A321LR will be operated on the Lisbon-Tel Aviv route at its entry into service. “We applaud Tap Air Portugal for becoming the first airline to leverage the benefits of the A321LR and the A330neo in a common fleet. “The A321LR and A330neo working in tandem have the middle market segment nicely covered,” said Christian Scherer, Airbus chief commercial officer. Tap currently operates an Airbus fleet of 75 aircraft comprising five A330neo, 13 A330ceo, four A340s, and 45 A320 family aircraft. The single-aisle fleet includes 21 A319ceo, 20 A320ceo, four A321ceo, two A320neo and six A321neo.